Dear Jesus, I believe that you are alive; and Jesus, I believe that you are God’s son. Jesus, I am sorry for all of the sin in my life; and I’m asking you to forgive me and cleanse me from all my sin. Jesus, I believe that you died on the cross for my sins: you were buried in a grave; and three days later you arose from the grave. Jesus come and take control of my life, and live in me. I believe that you arose to bring me abundant life and I receive that abundant life. I now believe that I have received your free gift of salvation. I pray this in Jesus’ name. Amen. 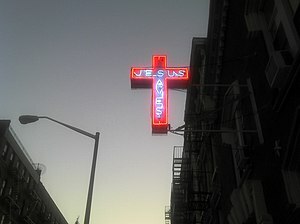 So what happens when we get connected or accept the free gift of salvation? Well, upon confessing with our mouth, that we receive Jesus to come and live in our heart, our spirit connects to and plugs into the Spirit of God (Jesus’ Spirit). Our spirit actually comes out of a state of dormancy, meaning to be asleep; and is made awake or alive with the power of the Spirit of God. In other words, our spirit receives the ability to relate to the Spirit of God; whereas, before it could not relate to God. We can now choose to be attuned to the Spirit of God or we can choose to live as before, in the soul realm. If we choose to live in the soul realm, our relationship and experience with God will never grow; and may eventually disintegrate to the place where we were, before we accepted Jesus as our Saviour. However, if we choose to stay attuned to God, then we will experience the abundant, blessed life of a child of God. "God's Abundance: It's for You".